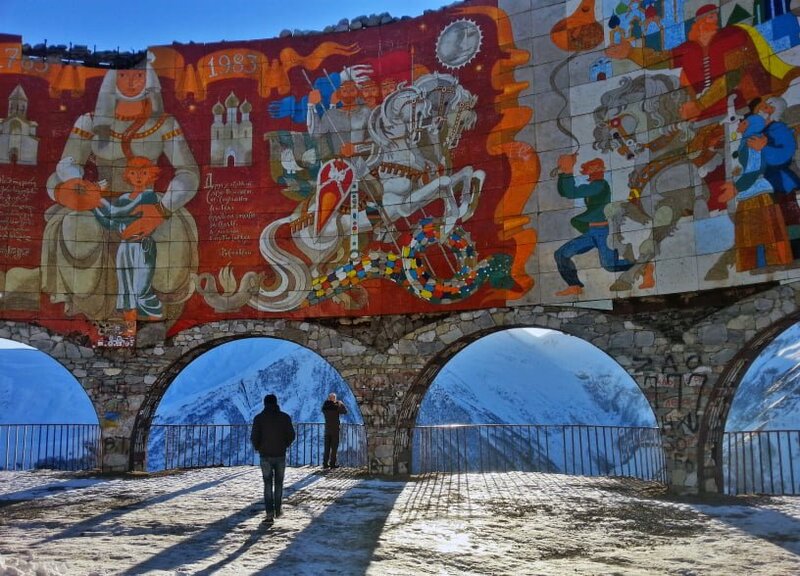 The Kazbegi Tour is the trip most of the visitors of Georgia take. 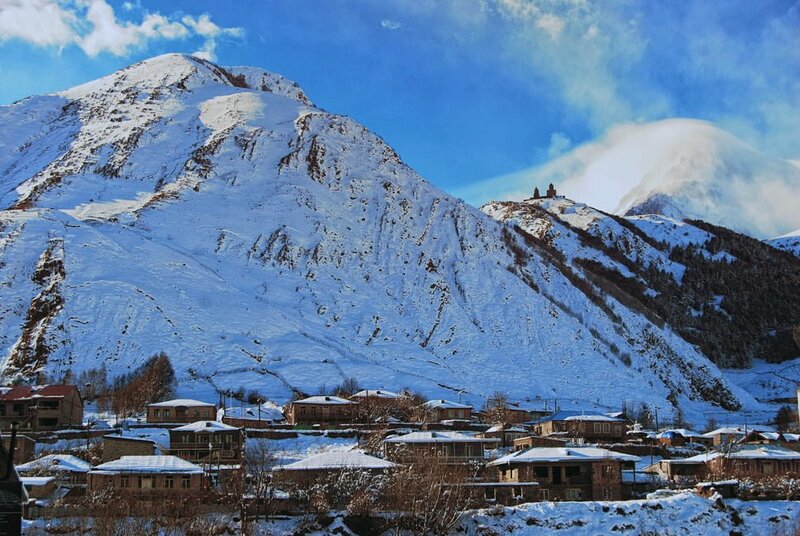 Kazbegi is the pearl of Georgia which has recently become very popular because of it’s untouched beauty. 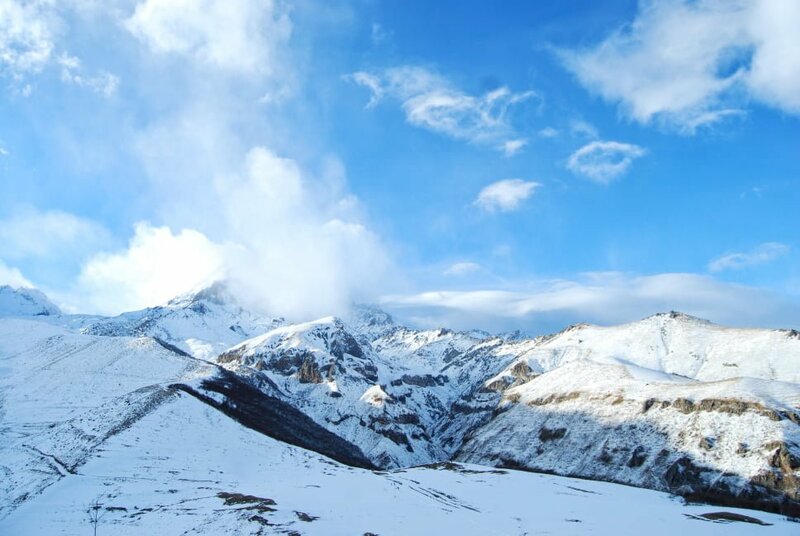 With this tour, you will visit all the must-see sights in the Kazbegi Region. 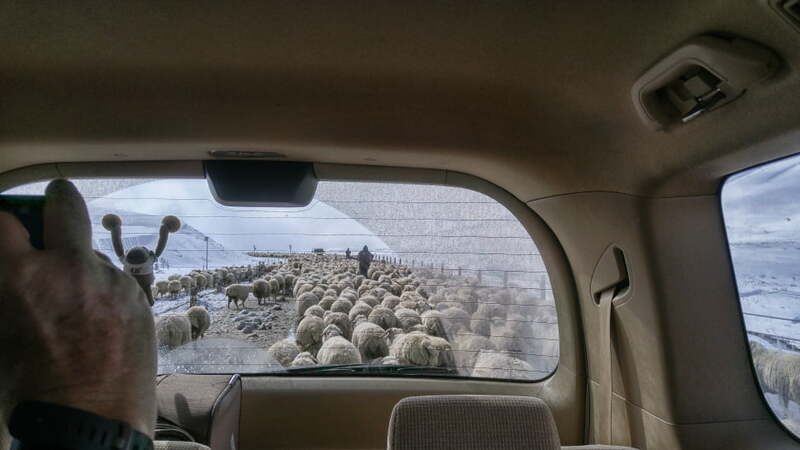 Our driver will meet you at your hotel and lead you to your car to begin the Kazbegi tour. We begin the day by visiting Zhinvali water reservoir. Zhinvali dam was built in 1980’s because Tbilisi was growing rapidly and needed a new water supply. 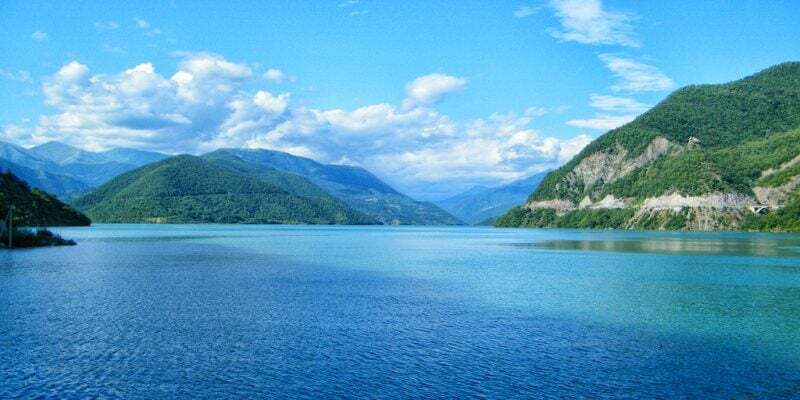 As a result we have a beautiful lake, where we stop to enjoy the stunning views of the water and surrounding colorful forests. 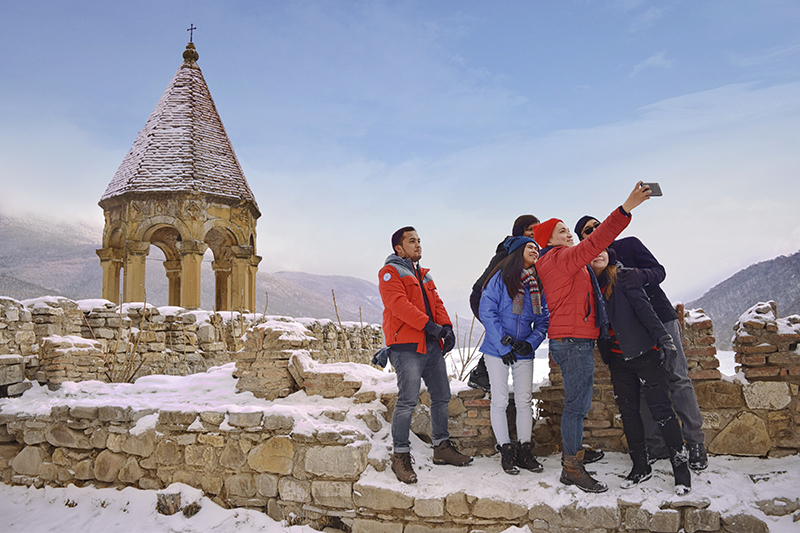 Afterwards, we’ll continue to explore the famous 17th century Ananuri Fortress, known for its haunting history. Attacked many times throughout the centuries, it still stands strong and attracts each and every guest. Then we’ll head up the breathtaking military highway of Georgia to Gudauri, where we’ll see the Friendship Monument. 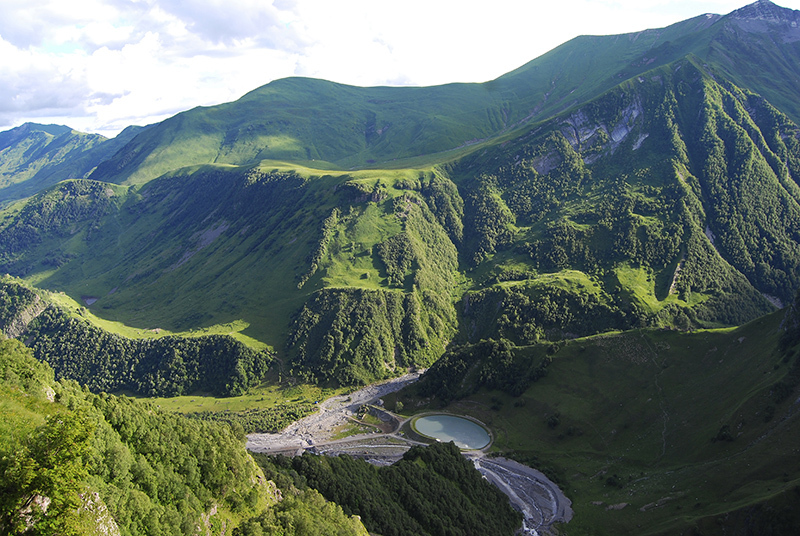 Here you’ll also have a chance to have an unforgettable experience of paragliding over the Caucasus mountains. 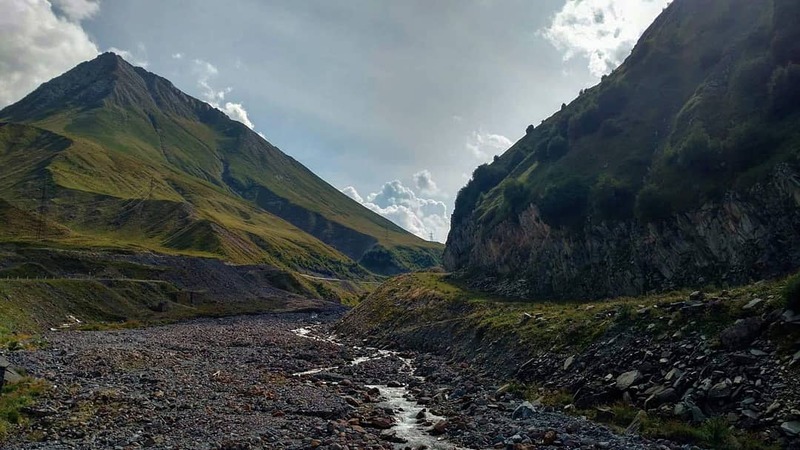 Finally we’ll head to Stepantsminda also known as Kazbegi, here you’ll switch to a 4WD off-road car to go up to the stunning Gergeti monastery under the 5047 meter mountain of Kazbegi. Which was Built in 14th century. 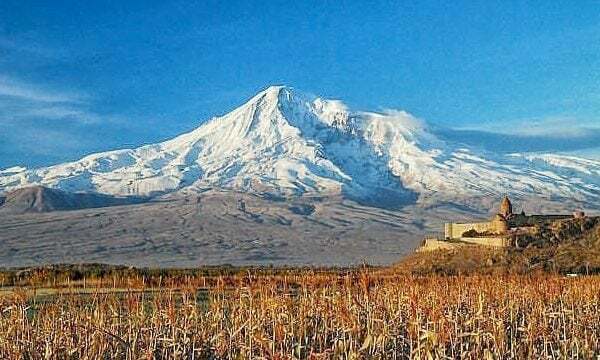 Gergeti used to be a secluded monastery. Ever since, there have been monks living here throughout the year, even through the freezing temperatures of -35 Celsius! Enjoy a home cooked dinner and try to make your own Khinkali during the cooking masterclass in the village of Gergeti. Finally, we’ll return to Tbilisi and our driver will leave you at your hotel. 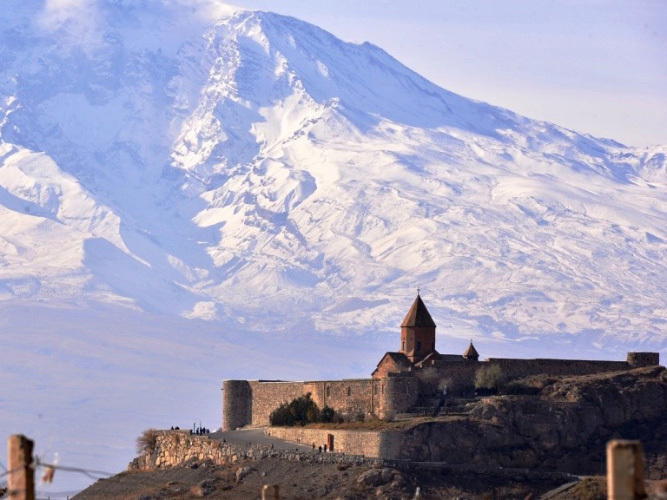 How Long Is The Drive From Tbilisi To Kazbegi? What Should I Wear in Kazbegi? It can sometimes get very cold in Stepantsminda, so it’s always a good idea to dress in layers. In the spring-summer time, usually a t-shirt and a sweater are the best combination for this tour. However, in the winter times we recommend you wear heavier layers. What Type of Food Is Served During The Lunch in The Local Family? You will enjoy a variety of local and international dishes, so there’s something for everyone. Food varies depending on the season and availability of the products. We also have a little bit of alcohol available during the lunch – usually wine & Chacha. Georgia has a huge variety of Vegetarian & Vegan Dishes, so this won’t be an issue. 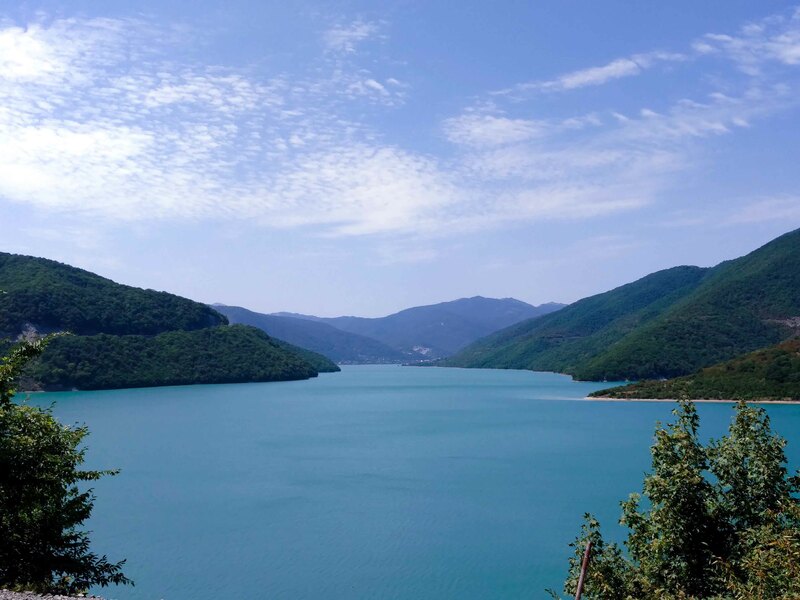 Zhinvali water reservoir, also known as a lake is located on the Georgian Military Highway. Soviets constructed the dam in the 1980s. 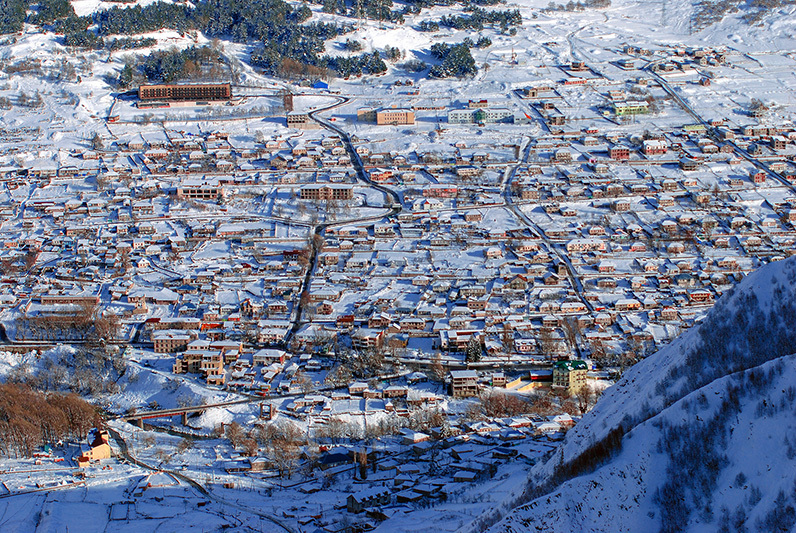 As Tbilisi was growing rapidly, there was a need of a new water supply. Government decided that the Aragvi Gorge rich with glacier water was the perfect spot. Ananuri Fortress is a 17th Century Architectural Ensemble which at the time was one of the strongest fortresses in Georgia. 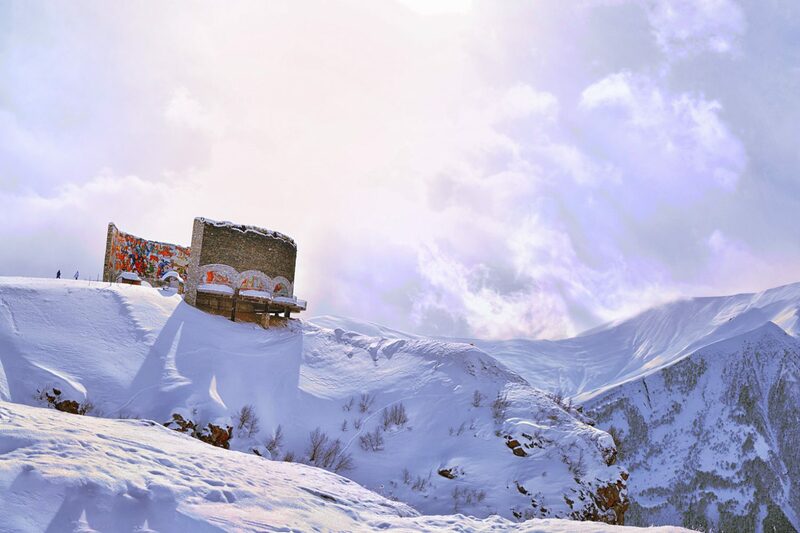 Fortress is located in a 70 km drive from Tbilisi, in the village with the same name – Ananuri. Location for the complex was chosen because of its strategical importance. 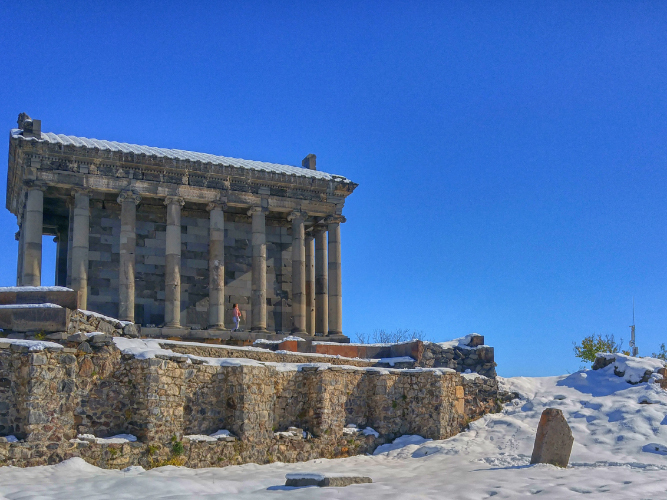 This fortress belonged to the local rulers called “Aragvistavi” and was the main stronghold for the family. At this time, everyone will be a bit hungry. As we’re having a late lunch, we’ll make a stop at a nice supermarket where you can get yourself a small snack to keep you going through the day. Gudauri Friendship monument is located 120 KM from Tbilisi, on the Georgian Military Highway connecting to Russia. The government of Soviet Union built this monument in order to celebrate 200 years since the treaty of Georgievs signed in 1783. 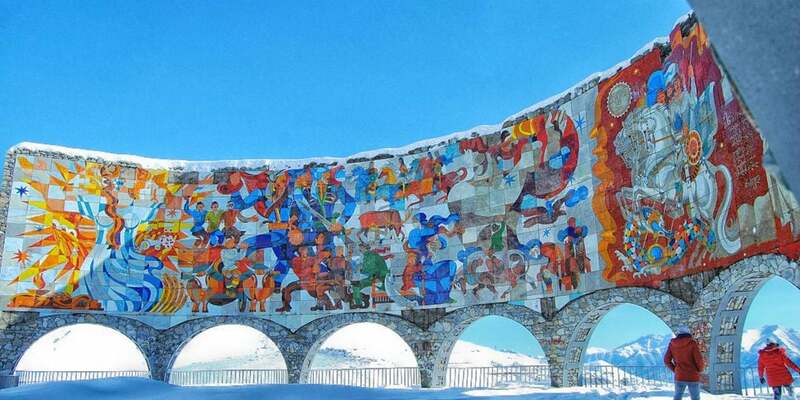 This panorama is decorated with Soviet Style mosaics depicting Georgian and Russian heroes, farmers, fairy tales and communist symbols. The monument is very vivid and colorful, however the most important part of it’s beauty is its location. 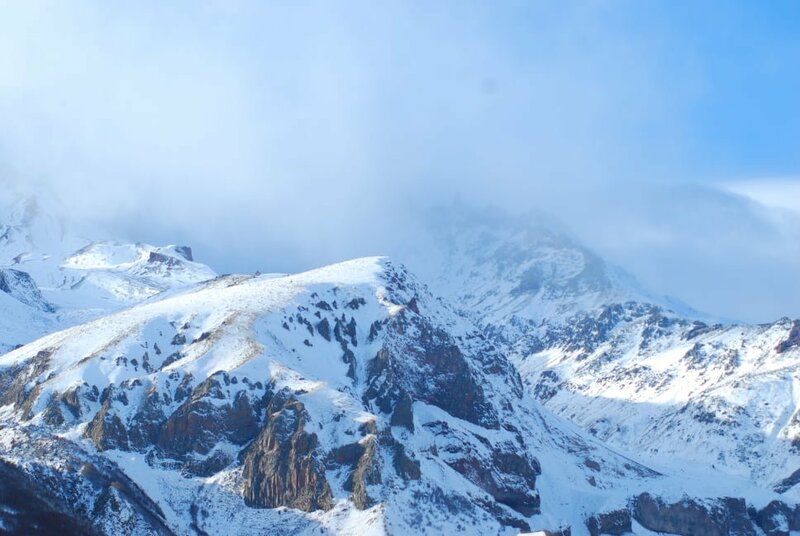 Here you will have an opportunity to fly over the Caucasus Mountains with a professional pilot and a paragilide. 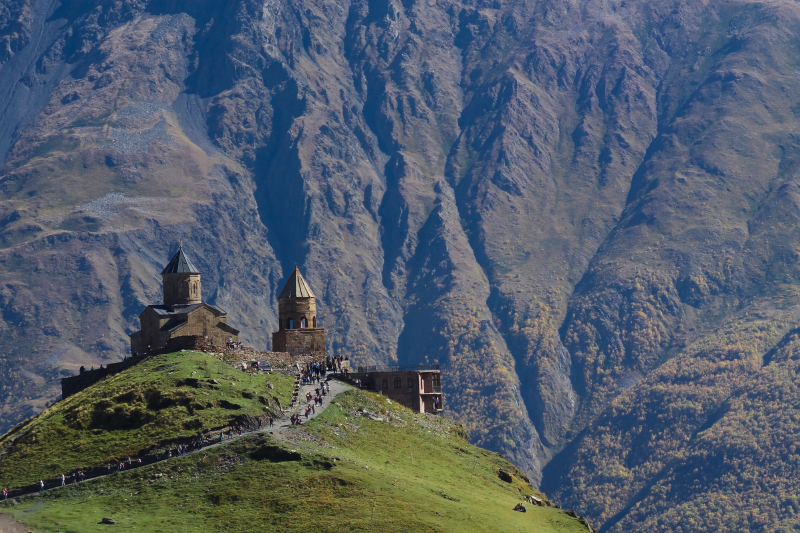 This is the most anticipated stop of the Kazbegi Tour – Gergeti Trinity Church. Gergeti Church of the holy trinity is located in Mtskheta-Mtianeti Region, Kazbegi Municipality under the famous Mount Kazbegi. This monastery has recently become very well-known worldwide for its amazing views. 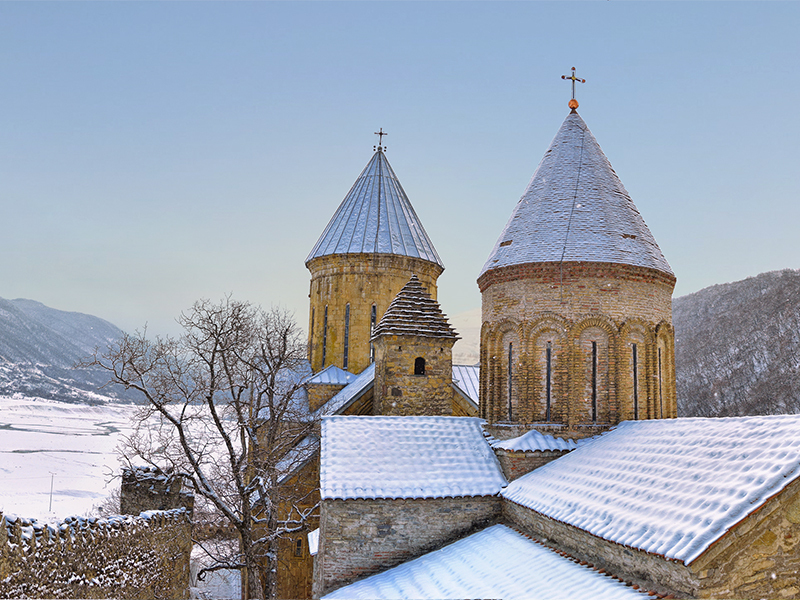 Trinity church stands at 1800 meters from sea level, overlooking the city of Stepantsminda also known as Kazbegi. 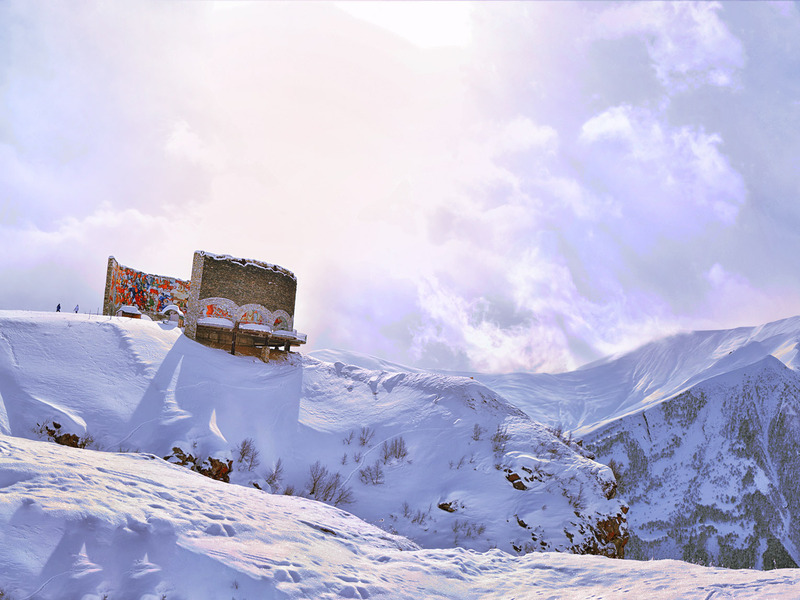 Behind it is the great Kazbegi peak at 5047 meters from sea level. We will visit the monastery with a 4WD as there is no other way of getting up to the monastery. 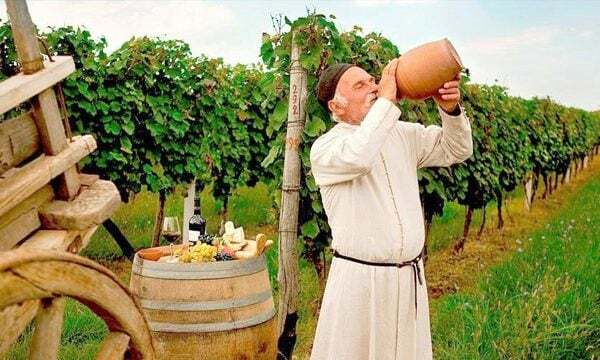 After the long day, we’ll enjoy a well-deserved traditional Georgian feast with lots of authentic food and of course wine! Towards the end of the dinner, we’ll also have a cooking masterclass – you’ll learn how to cook Khinkali from the experts! At around 20:00 we’ll return to Tbilisi and our team will deliver you to your hotel. 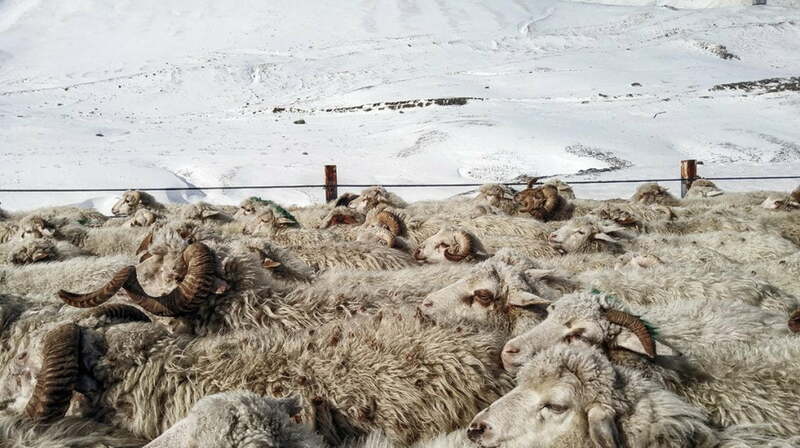 This will conclude your Kazbegi Tour. Highly recommend this tour. 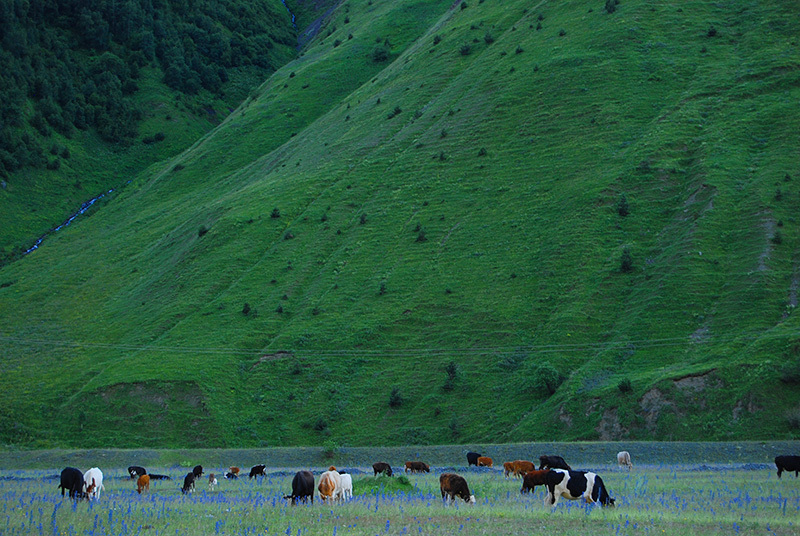 An all-day experience (in our case, the Kazbegi region and others) that you won’t want to miss out on. Definitely must-see attractions, and won’t be nearly as insightful or enjoyable without a quality guide like we had from this company. We had an enjoyable, memorable trip today to the Ananuri Fortress, the Gudauri Friendship Monument and more. We toured with Beka. He was kind, knowledgeable about the history and he was on time. We are foodies and lunch was magnificent, the wine was nice and the cha cha was authentic. We had an amazing day! I definitely recommend Kartveli Tours! Two pieces of advice. 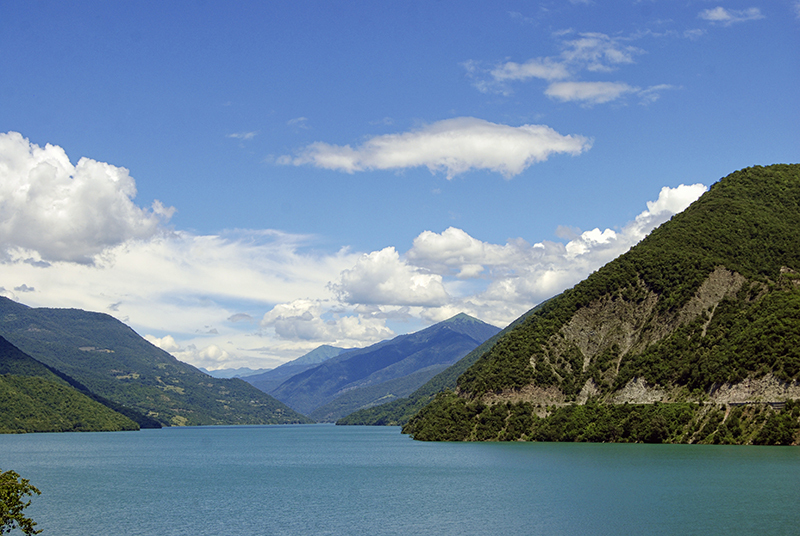 Firstly, if you’re thinking of visiting Georgia – do. It’s a great place for an enjoyable hassle free holiday with good food and wine, great scenery, historic places and friendly people. Secondly when you do visit look up Irakli at Kartveli Tours for trips out of the capital. 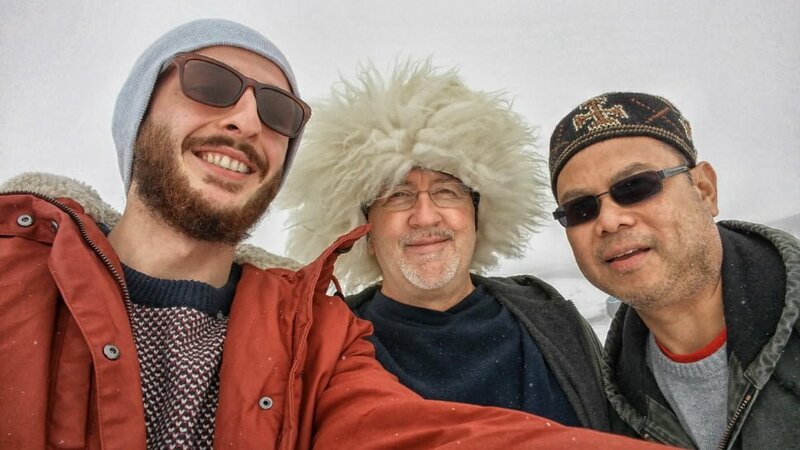 My nephew and I went with him on a day trip to Kazbegi and were impressed, not just with the mountain scenery and ancient buildings but with Irakli’s knowledge and enthusiasm which brought the small group (8) together and made the trip a success. The stop at a family home where we were able to sample a variety of traditional Georgian dishes we very much enjoyed. If I were to visit Georgia again I would certainly want to use Irakli’s services as a guide and would recommend him to friends. Irakli is so knowledgeable and a genuine guide who made us feel like family members. He was a phenomenal tour guide for our group! Spoke very good English and were easy to understand. It was an unforgettable experience to an extraordinarily beautiful country. It was like being introduced to these fabulous places by an old friend/family. Many thanks for such a wonderful Georgia trip that has left us with amazing memories. Please pass on our thanks to the drivers who pick us up at the airport (forgot their names, sorry!) , To Hodor *wink* and Mat they are an absolute credit to your company. Thank you very much for everything and hope to travel with you again. I will strongly recommend your company to anyone planning a trip to Georgia and I hope that we can travel with you again in the near future ourselves, we left feeling that we had made a new friend in Georgia. We were extremely happy with the tour that you arranged for us, it was certainly one of the best holidays that we have had. My favorite part is when we had lunch at the local family aside from the food ofcourse haha! But the feeling of eating together is just so personal. Madloba, Irakli! Keep going.